A federal judge has found a controversial Maryland gun law unconstitutional pursuant to a recent ruling. The key issue of the handgun law is the section that requires Maryland residents to show a “good and substantial reason” to carry a gun outside of their home in order to receive a permit from the state. 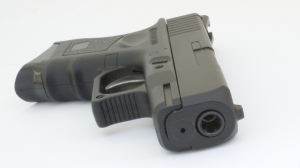 A civil lawsuit challenging the firearm law was filed in the United States District Court for the District of Maryland, and judge Benson Everett Legg presided over the case. The plaintiffs consisted of multiple parties including the Second Amendment Foundation, a non-profit organization which promotes gun possession and ownership rights, and a Baltimore County resident. This Maryland gun law in question prohibits the carrying of a handgun outside of the home whether the handgun is carried out in the open, or concealed. In fact, the only way to legally carry a handgun outside of the home is to receive a permit from the Secretary of the State Police. An applicant must meet a variety of strict requirements in order to be granted such a permit from the Maryland police secretary’s office. An applicant for a hand gun permit in Maryland must not be a convicted felon, not have been convicted of a misdemeanor for which the term of imprisonment is greater than one year, and must not have been convicted of any drug crime. The Maryland law also prohibits drug addicts, alcoholics, and anyone who has shown a propensity for violence or instability from obtaining a handgun permit. The controversial section of the law though, and the section that lead to the lawsuit being filed is the ambiguous “good and substantial reason” requirement. The “good and substantial reason” clause in the Maryland law requires that the applicant show that he or she has a “good and substantial reason to wear, carry, or transport a handgun, such as a finding that the permit is necessary as a reasonable precaution against apprehended danger”. The Handgun Permit Unit is designated by the Maryland State Police Secretary to make the ultimate decision as to whether the applicant meets this seemingly ambiguous criteria. Factors that the permit unit may consider include whether the applicant has alternative means of protection other than than carrying a handgun. An applicant who is denied a gun carry permit by the Handgun Permit Unit may appeal this decision to the Handgun Permit Review Board. This particular case began when a Baltimore County man’s application for renewal of his gun carry permit was denied. His appeal to the review board was also denied because the Baltimore man failed to prove that he had a good and substantial reason to wear, carry, or transport a handgun in Maryland. The denial was in spite of the fact that the man experienced an armed burglary of his residence just three years before, and the culprit of that burglary had just been released from Maryland State Prison. The Baltimore man filed suit in federal court and was joined as a plaintiff by The Second Amendment Foundation. The plaintiffs argued that the Maryland law places an unconstitutional burden on a citizen’s right to bear arms as provided by the Second Amendment of the United States Constitution. Other arguments include that the gun law violates the Equal Protection Clause of the Fourteenth Amendment, which guarantees that citizens of any state are afforded all rights provided by the Constitution. The Maryland law was reviewed by the judge under intermediate scrutiny, which requires the state of Maryland to show that it has a substantial interest in gun regulation for public safety reasons, and this particular gun law reasonably fits this interest. The federal judge concluded that it is unconstitutional for the state of Maryland to require a citizen to show a “good and substantial reason” to exercise his or her Second Amendment rights. The fact that the Second Amendment exists is reason enough to be able to exercise these rights. Summary judgement was therefore granted in favor of the plaintiffs by judge Legg in what has a major victory for gun owners in Maryland and Second Amendment supporters around the country. Future posts will discuss the impact of this decision for Maryland gun owners and public safety advocates alike. Maryland handgun provision unconstitutional, federal judge rules, washingtonpost.com, March 5, 2012.